First Settlers Region, as we are known today, enjoys a rich heritage spanning more than 60 years! It is our hope that, by joining us, you have become an integral part of our spectacular history. First Settlers has always embodies the principle” it’s not just the cars, it’s the people. In fact, it’s because of our active, fun-loving membership that we continue to grow. When first chartered in April 1959, there were approximately 12 active members. By the end of 1986, the Region had grown to 311 active members. As of March 1, 2015 there are 603 active members! Along our journey, First Settlers has achieved several milestones and celebrated its values with many events and activities. Listed below are some key milestones and achievements in our history. And with you, we’re looking forward to continuing this journey with our favorite marque, Porsche. • September 13, 1955 – The Porsche Club of America was officially founded by Bill Sholar & friends in the Washington, D.C. area. 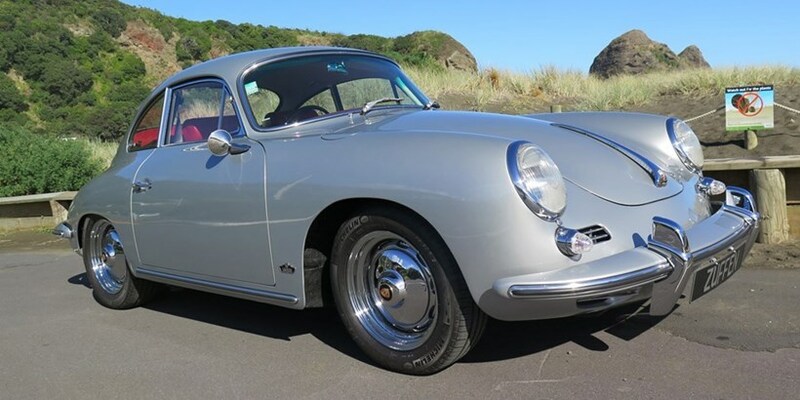 • March 31, 1959 – A petition for recognition or our Region as a chartered club of the Porsche Club of America was submitted by Allen B. Fine. The name of the club was to be “PCA, Richmond Region” with the county boundaries of Henrico, Hanover, Chesterfield, Powhatan, Goochland, Dinwiddie, and Prince George. The original officers were: President, Allen B. Fine; Vice-President, Dr. Willard M. Fitch; Secretary-Treasurer, George W. Patterson III. In addition to the President, known members of the club were: Fred M. Johnson Jr., Thomas W. Allen, Julia C. Baylor, Dr. Willard M. Fitch, Edgar A. Jett II, Jack D. Lewis, Wendell B. Powell, Dr. C. N. Richards Jr., Neal Sykes Jr., George W. Patterson III, and Lt Robert Miller. • April 22, 1959 – The original charter was granted by PCA. In 1964, the name of the region was changed to the “First Settlers Region” and as the region grew, its membership extended to the west to include counties in West Virginia. • February 1965 – the official boundary of FSR was expanded to include all counties east to the Chesapeake Bay and south to the North Carolina border for a total of 36 counties. • June 1971 – First Settlers held its first DE event at Virginia International Raceway. About 30 Porsches gathered for the event. • In 1980, the Blue Ridge Region was chartered, split off from First Settlers and included counties in western Virginia and southern West Virginia. • In 1986, First Settlers Region had grown to 300 Primary Members. • In 1993, the current First Settlers Logo was approved and adopted. • In 1995, fifteen years after the Blue Ridge Region was chartered, the Shenandoah Region was formed from the counties above the Blue Ridge Region and west of First Settlers Region to the West Virginia border. • March 9, 1999, PCA assigned seven unassigned Virginia counties to First Settlers Region. • 2009 – First Settlers reached 500 primary members. • 2009– First Settlers Region celebrated its 50th Anniversary with a spectacular 50th Anniversary Gala held at The Tides Inn resort in Irvington, Virginia. • 2010 – First Settlers initiated The Air & Auto Show as one of its annual events. 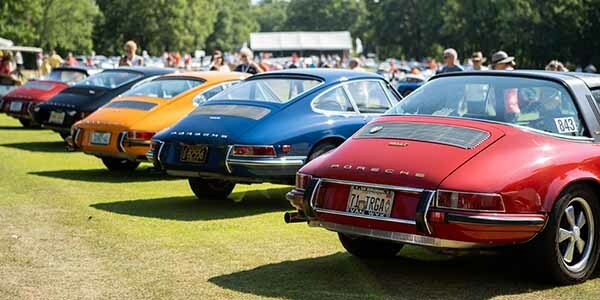 This very popular concours event is held at The Military Aviation Museum in Virginia Beach. Well over 100 vehicles enter to be judged and attendance is typically well over a thousand. The event is a major fundraiser for our charities. • 2011 – Turkeys in the Trunk became a fundraising event for The Foodbank of Southeastern Virginia. 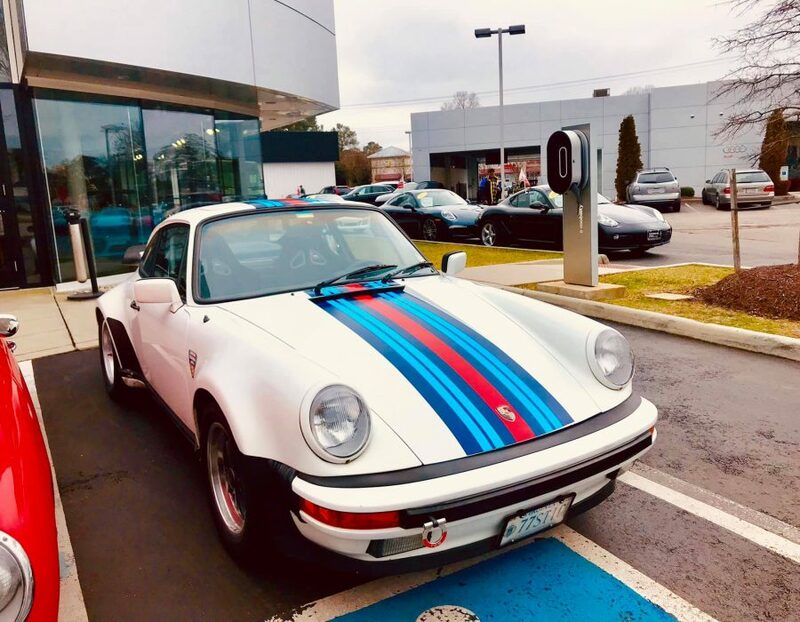 This popular event asks members to pack their Porsche with all the fixings for a Thanksgiving dinner. Participants gather at Checkered Flag Porsche for a weigh-in. The food is delivered in a Porsche caravan to the Mayflower Marathon collection point. Prizes are awarded for the most pounds and members celebrate afterwards at a social event. • 2011 – First Settlers introduced its new member recruiting card. 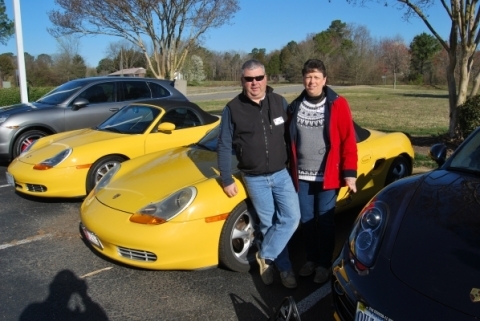 The card is placed under the windshield wiper of Porsches inviting the owner to join us at one of our events. • 2011 – First Settlers was the runner-up for PCA’s Region of the Year Award. • 2011 – First Settlers won PCA’s Best Web-site Award. • 2011 – First Settlers grew to 600 primary members. • 2012 – First Settlers was chosen Region of the Year by PCA. • 2013 – First Settlers won the PCA Community Service Award for raising funds through several charity activities and distributing $30,000 to its designated charities. • 2017 – First Settlers won PCA’s Web-site Award: 2nd Place Class IV; Region’s Public Service Award 3rd Place. • 2018 – First Settlers won PCA’s Web-site Award: 3rd Place Class IV; Region grew to 700 members. There are several successful events that are important in First Settlers history. Some continue today and others ran their course affected by changing region geography, demographics and availability of event locations. In summary, First Settlers Region continues to grow and to offer its members a great membership experience through a full calendar of events and activities. 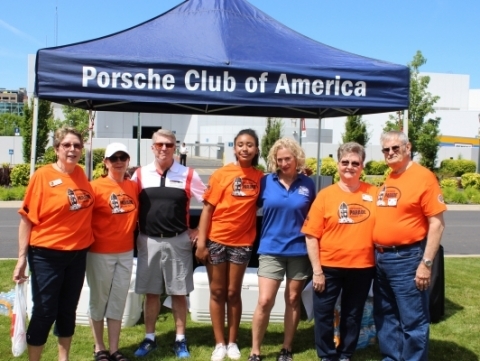 The member benefits and the opportunities to develop friendships and camaraderie support Porsche Club of America’s statement that “it’s not just the cars, it’s the people”. A two-day plus event in Crewe, Virginia. The event consisted of a concours, autocross, dinner and rally. The event continued for nine consecutive years until 1986 when the airport site was unavailable. Porsche in Flight returned to Crewe in 1989 and continued for a few years more before being discontinued due to location issues. This event ran from 2004-2008. This fun-filled event was held at the Ramada 1776 in Williamsburg, and it consisted of an air show at Oceana Naval Air Station on Friday afternoon and a concours on Saturday morning. A fun run/tour was held on Saturday afternoon, followed by a dinner that evening. To top the weekend, an autocross event was held on Sunday. This event continued through 2008. These very popular monthly breakfast gatherings are our longest running events. First Settlers has grown to four monthly breakfast meetings with locations in Chesapeake, Williamsburg, Richmond and Fredericksburg. First Settlers conducts two DE events each year at Virginia International Raceway. These popular events help members to better understand the capabilities of their cars and become better drivers. Additionally, these events generate revenue to support other region activities.